Waking Green Dragon: Durian: How Great Thou Stink! Durian: How Great Thou Stink! 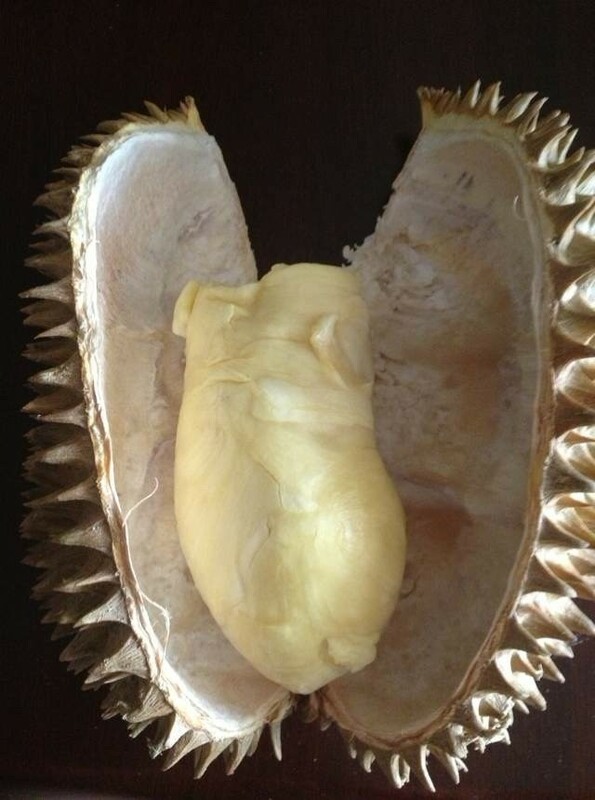 Today, I just want to share a picture of a durian that my lovely girlfriend took. It was 58 yuan for this one--not a cheap price for a single piece of fruit. This fruit is famous for its potent smell, but is so utterly tasty. Either you hate it or love it, but there is no denying it is the consistency of butter and nearly as rich, but much sweeter. In addition to mango, durian is a staple of the Hong Kong-style (Cantonese) dessert places that were mentioned in my last post. I have often wondered who has the job of collecting them for human consumption (learn more here). They grow high in trees and are absolutely deadly, especially when falling from a great height. OMG..I am such a durian addict! I have the durian receptors for sure. Dear Mr. Lee, I am writing to thank you for your email about my piece You Will Become Catholic in thejesuitpost.org. I am grateful you took the time to reach out and offer your appreciation! I hope you continue to enjoy our work at the site. i have a new piece up called Priest Story, just up today.